This representative is a blended rum, which means it is a marriage of different rums in one bottle. And it were exactly such blends which helped the Compagnie des Indes Rum to gain a good reputation in the first place. In the meantime, however, especially some very intriguing single cask bottlings (including a few rare “exotics” such as rum from Belize for instance) have led to even more respect for the brand in the rum community. And these bottles underline the promise of quality that the Compagnie des Indes rum make. The independent bottler acquires different rum barrels of different distilleries across the Caribbean (partly also beyond the Caribbean, for example also from Indonesia) and can thereby offer a fairly broad portfolio from the world of rum. A great plus of the series is certainly that it is neither colored with caramel, nor – and that is significantly more important – is it altered in terms of taste by the subsequent addition of sugar (as it is done with many rums, partly in a way that cannot be endorsed anymore). 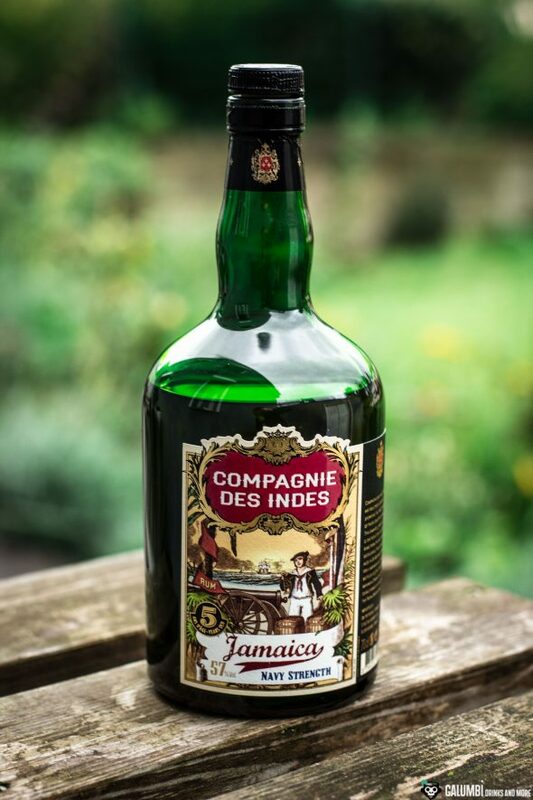 The bottle I would like to present today is the Compagnie des Indes Jamaica 5 Years Old Navy Strength. A long name for a very classic and powerful rum. Anyone who thinks about Jamaican rum also usually expects a powerful, intense “high ester” rum with pronounced fruit notes and a full body. And exactly this is offered by the Compagnie des Indes Jamaica 5 Years Old Navy Strength. 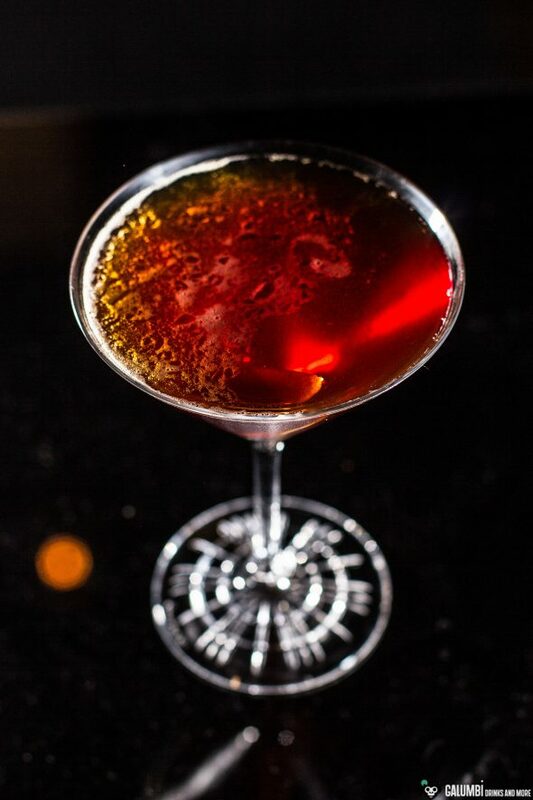 It is a blended rum (as mentioned above), which was created from rums of different Jamaican distilleries. All rums used have in common that they were allowed to mature for at least five years in oak barrels. Without exception all of those barrels were former bourbon barrels, which certainly promises a certain vanilla or caramel note in an orchestra of ester and fruit notes. With 57% ABV we are dealing with a rum where you must not worry about soaked and inflammable gunpowder. And certainly you also won’t have to worry that it will pass you without a trace. Therefore the addition of some water can be quite useful. Aroma: No question about it: we are dealing with a real Jamaican in this bottle! A powerful and intense world of fragrance reveals itself as soon as you move your nose over the glass. Fruity notes of pineapple and some banana mix with a beautiful caramel note which also brings hints of chocolate with it. Sugar cane, a little oak and even subtle associations of smoke can be found. The fruity notes are particularly emphasized with a little water, the smoke associations disappear altogether. 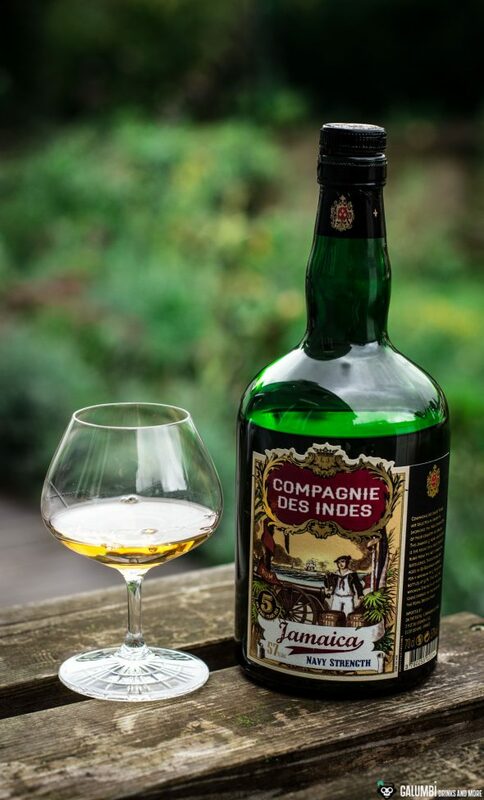 Taste: The 57% ABV cannot hide completely when tasting the Compagnie des Indes Jamaica 5 Years Old Navy Strength rum, but at first it appears surprisingly meek. Then the powerful character unfolds on the palate with fruit notes of pineapple and banana as described above, a fine vanilla, molasses, honey, some oak, cake (banana bread?) and spices. Again, the fruity notes are particularly emphasized by the addition of a few drops of water. A really nice Jamaican rum, no question! And precisely because this rum offers such beautiful, intense and powerful notes, I have decided to use it in a cocktail which also appreciates its nature. Of course it would have been an option to simply create a potent tiki recipe and toast to the dark gods of the Caribbean and Polynesian world, but I wanted to go a different way. 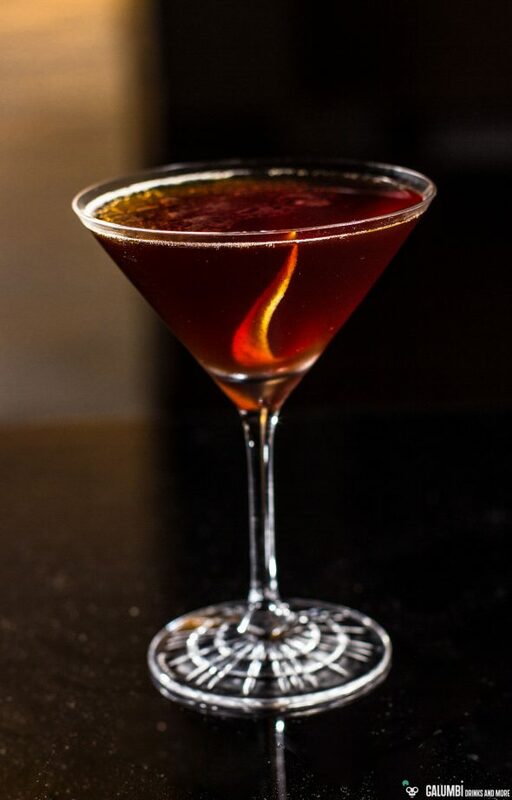 The drink is named Persephone because it is simply a variation of the Demeter’s Daughter cocktail, created by Jamie Boudreau in Seattle and also presented in his blog. While in the Demeter’s Daughter, next to Appleton V / X, Ramazotti, bitters and a pomegranate liqueur are used, in my version I opted for a whole series of different bitter liqueurs. I love experimenting with Amaros and sometimes it’s a unique blend that creates exactly the flavor I was looking for. One may accuse me of creating an unnecessarily complicated recipe, but ultimately I can (if not must) simply argue with the resulting flavor. Instead of pomegranate liquor I used a pomegranate syrup. By the way: Persephone is, you guessed it, “Demeter’s Daughter”. Because, of course, the lion’s share of the idea for that cocktail still belongs to Jamie Boudreau! Preparation: Stir all the ingredients on ice until cold and pour into the pre-chilled glass. Buying sources: At specialized retailers or online. 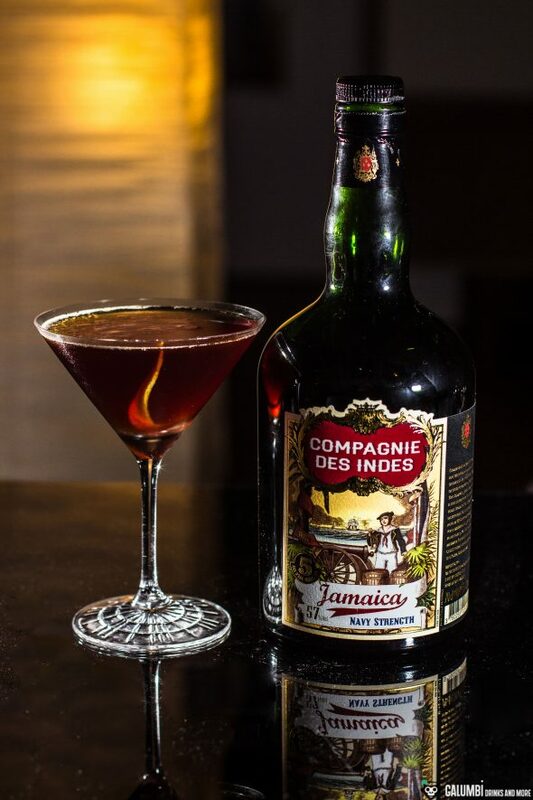 A bottle of Compagnie des Indes Jamaica 5 Years Old Navy Strength costs around 45 euros.